1,4-dioxane and ethylene oxide may be found as legally tolerated contaminants in household products. 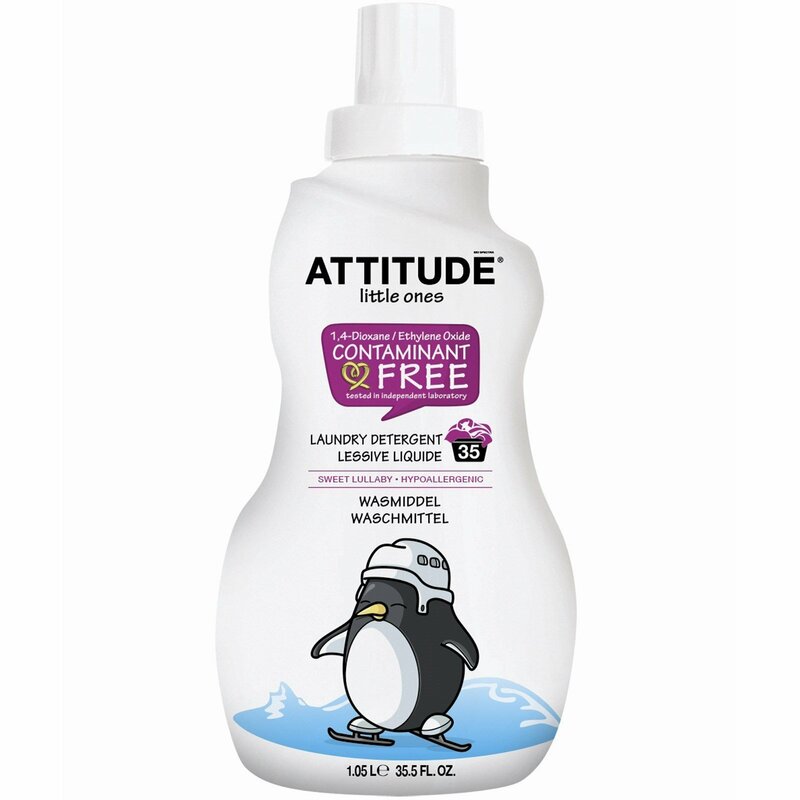 This Attitude product does not contain these by-products listed to carcinogenic to humans by the International Agency for Research on Cancer (group 1 or 2). EcoLogo: We do everything we can to offer you the greenest products in the world. The EcoLogo certification is proof of our environmental leadership. C02 neutral: Attitude is manufactured using 100% renewable energy and we plant trees to compensate our inevitable greenhouse gas emissions. See table for dosing instructions. For tough stains, pour a small quantity directly on stain and rub or allow soaking before washing. Always check labels for special instructions. Anionic surfactant derived from coconut/surfactant (5%-15%), non-ionic surfactant derived from corn and coconut, sodium citrate (<5%), sodium gluconate (<5%), fragrance* (<5%), aqua (>30%), *derived from natural ingredients.